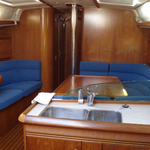 Boat Sun Odyssey 43 named Daaria has been manufactured in 2004. 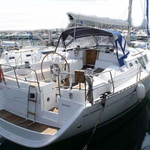 We propose this boat from harbor Kastela in the region: Split. 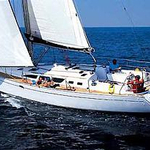 Daaria is registered for 10 passengers. 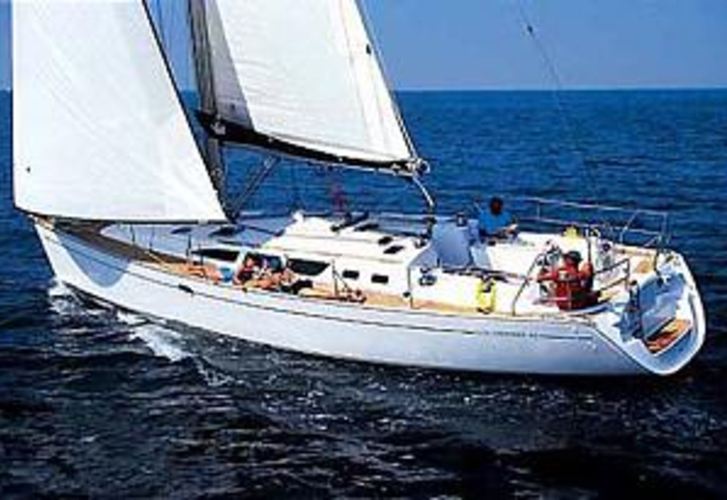 Layout of the sailboat is 10 (8+2). 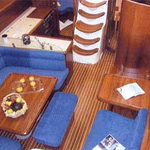 Sun Odyssey 43 Daaria is equipped with 4 cabins. For guests disposal there are 2 WC with showers. You can fill the tank for fuel with 200.00 l liters and in tank for water it goes even 400.00 l liters. With motor 80 hp Daaria can move really fast. 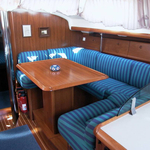 Daaria is 13.21 m long and 4.19 meters wide. Draft is 2.15 meters. 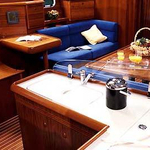 Use the search engine for search for different yachts under this link: Yacht charter Kastela. 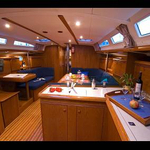 Boat's equipment involves : Bimini top, Anchor electric windlass, Dinghy, Inverter 12v-220v, Radio / cd player, Plotter gps in cockpit, Bed linen, Towels, Furling mainsail, Bow thruster, Autopilot, Gps plotter. . Deposit there is 1500.00 EUR. 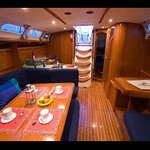 Choose our offer and spend great time on the deck of Daaria. 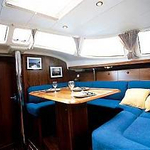 This Sun Odyssey 43 from Kastela from Croatia Check following this link: Yacht charter Croatia.